Engine oil, most commonly referred to as motor oil, is used for the lubrication of numerous internal combustion engines. Its main function is for lubricating moving parts of the car, as well as cleaning the engine of chemicals and build-up, inhibiting corrosion, improve sealing, and cools down the engine removing the heat away from the moving parts. Another important function of an engine oil is for holding all nasty by-products of combustion like silica or silicon oxide as well as acids that are in suspension. Engine oils are also used to minimize the exposure to oxygen which can result to oxidation at high temperatures. Engine oils are made from petroleum-based as well as non-petroleum-synthesized compounds. Presently they are mixed using base oils that are made from hydrocarbons and organic compounds mainly consisting of carbon and oxygen. The base oils of a premium engine oil contain up to twenty percent wt. % of esters. Generally, most cars and light trucks that use gasoline, any oil will suit their engines as long as it meets the American Petroleum Institute's "SH" rating. Do remember, however, that no matter what kind of oil you decide to use, change your engine oil regularly. 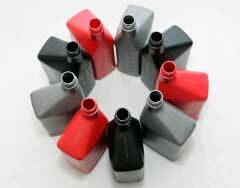 There are different types of engine oils in the market today. Considering the cost and performance, it is important to choose whether or not the best choice would be an economy engine oil or a premium engine oil. In most cases, the conventional engine oils are the most used and the cheapest thereby falling under the economy category. In buying these kinds of oils, it is always best to buy a well-known and branded oil. After an engine rebuild, always use the conventional oils that have no additives. This is because the new engine parts are made to depend on the characteristics of that conventional oil. On the other hand, if you prefer an engine oil that provides for a well-rounded performance and durability, synthetic oils prove to be the better choice. The only drawback is that these oils are very costly, retailing for about three times much more than regular economy oils. That is why synthetic oils are also referred to as premium engine oils. Despite its cost, they are best used for performance or for high output engines, turbo charged or supercharged engines, vehicles that operate in extremely hot or cold climates, vehicles that are used for towing especially during the hot weather, or anyone who wants the ultimate lubrication and protection. Another important thing to consider in determining the difference between an economy and a premium engine oil is the age of the vehicle. This is because older cars are more prone to oil leaks especially when switching to a fully synthetic oil for an old engine. The reason for this is because the new oil will cause the detergents in the synthetic oil to loosen the protective build up in the seal that has been left by conventional engine oils. 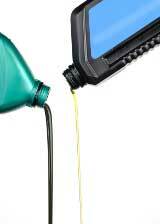 Semi-synthetic oils provide for an alternative in buying a premium engine oil. These oils are a combination of both premium and economy engine oils in order to have the benefits of both oils. In sum, it really depends on you which engine oil to use. Basically, all you need to remember is that older vehicles are more geared to use the economy engine oil more because of their engine seals. New cars, because of their everyday use what includes traffic jams, short journeys, extreme temperatures, and the like, need the added protection that a premium engine oil can give. It is best, however, that before making any changes, try asking the manufacturer's recommendations first.